TOVER certifies the highest ISO 9001 and ISO 14001 quality marks, having significantly exceeded national and international quality standards. TOVER creates new designs every year and constantly perfects its products. This task will be carried out in the various departments of development and new technologies. Continuous resistance tests are carried out with the best materials in order to offer our clients the greatest possible security. The continued creation of new designs is the way to improve the quality of each of our products. Our commitment is to achieve the best technological advances. With more than fifty years of experience in the iron and construction sectors, Tover is a pioneer developing new products and patents worldwide. 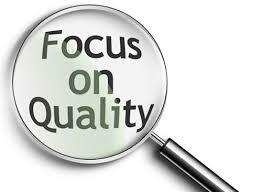 Quality is the priority objective throughout the production process of each of our products. When our customers and distributors around the world tell us: “This is a quality product”, this means that our maximum aspiration has been accomplished.